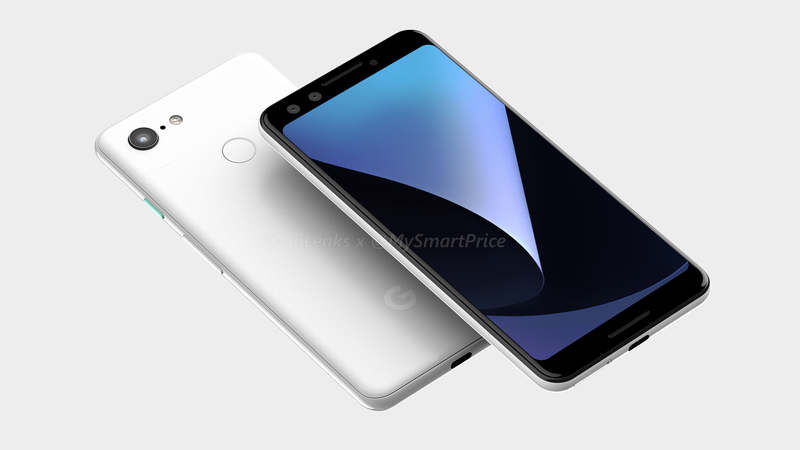 Every passing day (and new Android P build) brings us a bit closer to Google's next Pixel. 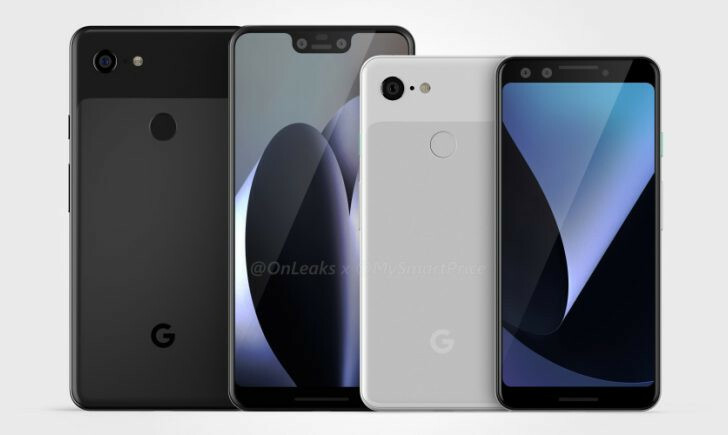 Earlier this month we got to see a few photos of what looks like a real Pixel 3 XL in the wild, and just a bit later our friends at 9to5Google spotted some fun concept renders that tried to approximate that look with a few different colors. Now MySmartPrice is showing off what are alleged to be accurate renders based on factory CADs by boastful leaker @OnLeaks. MySmartPrice has an extensive gallery of 33 images and two 360-degree videos for you to peruse, and the overall look and details fit with what we think we know about the pair of phones so far. Screen size is pegged at 5.4" for the smaller (presumably non-XL) model, and 6.2" for the larger notched model. Aspect ratios for the two are also supposed to be different, with 18:9 for the small one and 19:9 for the XL. 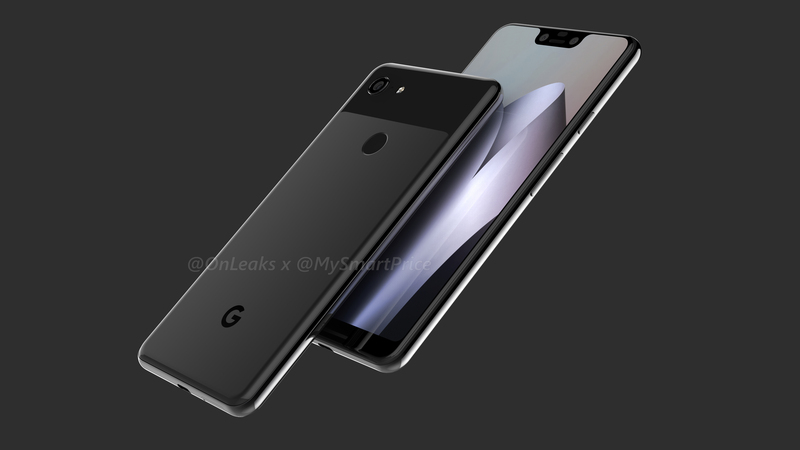 Pixel 3 and Pixel 3 XL. Images from MySmartPrice. From small to large, measurements run 145.6 x 68.2 x 7.9mm and 158 x 76.6 x 7.9mm. Interestingly, they believe the rear panel will be similar to the existing Pixels, with a metal back and a glass window, though the previous photos we saw seemed to imply a fully glass back. The SIM tray has been relocated to the bottom of the phone next to the USB-C port (where we all wish a headphone jack could be). I'd recommend everyone take these renders with a grain of salt. Although @OnLeaks has a very good track record, until we see more concrete proof, it's impossible to determine how accurate these images might be. Even so, in Corbin's words, "The small Pixel looks ."